This 50-foot cords feature 50 sockets spaced every 12 inches along the 18 AWG wire. Purchase 50 of our C7 incandescent bulbs or C7 LED Bulbs to fill them. 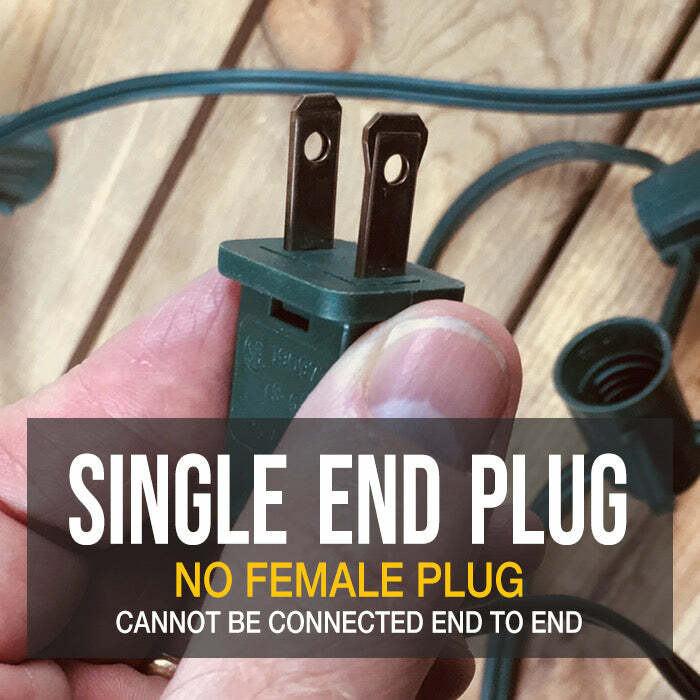 Q: Can this cord be pluged to a 220V current or only 110V? A: These are specifically 110 volt. If plugged into 220 volt, they will burn up. Q: Will these hold the vintage GE lighted ice bulbs? The lights say C7, but I want to confirm since they're vintage. 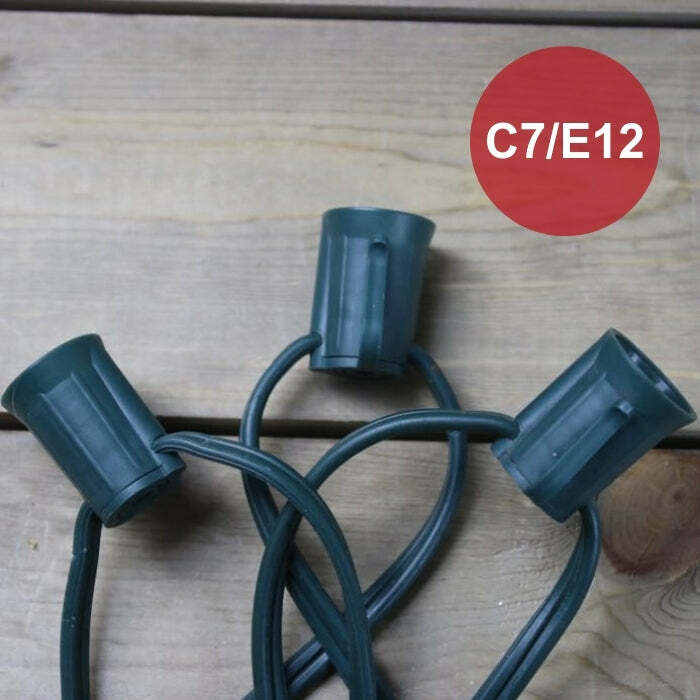 A: I can't guarantee it completely but C7 or E12 as a light bulb base specification has been standard for many years. Test your bulbs first and install them in a modern night lights. That will let you know if they'll be compatible with our C7 cords!